You select the best accessories for your dog, shop for delectable treats, buy the best grooming products--all that just for that happy wag or the bear cuddle. 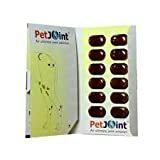 You want to choose the best dog joint supplement for your dog because you love him to the moon and back. You do your best, but often you find that you have been misled by the promises on dog food supplements. To avoid such a situation, this buying guide will help you make an informed decision. Glucosamine is one of the most popular ingredients. It helps reduce enzymes that damage the cartilage. Glucosamine also promotes the growth of healthy tissue. 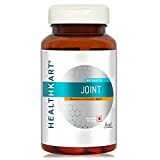 Chondroitin is another popular ingredient that slows degeneration and promotes regrowth of collagen. Collagen is a comparatively new ingredient that has proved its efficacy in clinical trials. Hyaluronic acid is found naturally in the body. It is injected into the blood stream to promote lubrication and reduce stiffness. MSM (= Methylsulfonylmethane) is a lesser-known ingredient, but it is beneficial in reducing inflammation and increasing mobility. Flavor: Most users recommend products that have a pleasant flavor. If you are a dog owner, you are already aware of the problems in administering medication. Dogs just refuse to take medicines that have a pungent smell or acrid taste, and they can be worse than children in throwing a tantrum. Guarantee: Any supplements that you purchase should be approved by the FDA or organizations like the National Animal Supplement Council. Stay away from cheap substitutes: After going through thousands of dog joint supplement reviews, we recommend that you go for well-known brands that adhere to quality and safety norms. 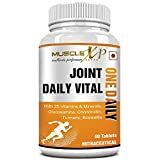 Check the ingredients: You may be aware of the ingredients that boost joint growth or relieve pain and inflammation of joints in arthritic dogs. If you are not, it is advisable to consult with your vet. He will advise you about the best options, after taking into consideration your dog’s requirements. Check for allergies: Before you start administering any supplements to your dog, always check for allergies. Your dog may be allergic to one or more of the ingredients in the supplement. It is best to take your vet’s advice in this regard. Check for possible side-effects: You should be aware of any known side-effects of the supplement. Consult your doctor about this beforehand, so that you are adequately prepared. Check the quality and source of ingredients: While you can be sure about the ingredients you are looking for, you can never be too sure about their quality. With the large number of manufacturers in the market, and with several of them providing sub-standard products, it can be a daunting task to determine the quality of ingredients. The trick here is to stick to trusted brands with an established reputation. Strictly avoid cheap products from lesser-known brands. You should confirm that the ingredients are from a reliable source and are not adulterated or contain cheap substitutes. You should be particularly cautious if you are buying a product manufactured by a foreign company. Check if the supplement can be used continuously: You should check with your veterinarian to ascertain the time for which you can continue the medication. 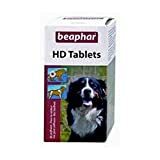 Contraindications: If your dog is already on some other kind of medication, you should consult your veterinary doctor about drug interactions, if any, before starting the supplement. Doggie Dailies: Doggie Dailies has been producing some of the best nutritional supplements for dogs. All their products are FDA-approved. Their commitment to quality and affordability has kept them at the top of their game for more than 25 years. Petarmor: It is a well-known name in the industry of nutritional pet supplements. They provide a range of premium quality products at affordable prices. Particular Paws: Particular Paws is located in Scottsdale, Arizona. They are manufacturers of a full line of pet supplements. Their products include vitamins, joint supplements, calming aids, odor eliminators, and more.